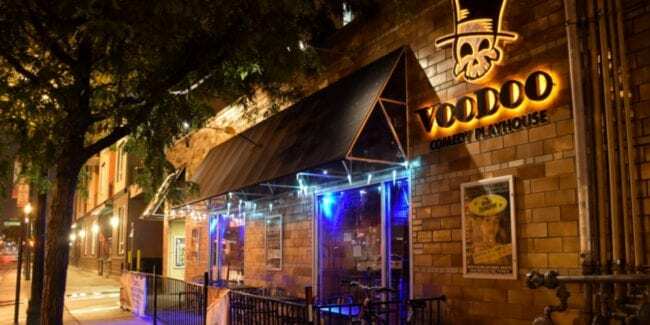 Voodoo Comedy Playhouse features a variety of comedy, burlesque and karaoke five nights a week. It’s located in the Ballpark neighborhood in downtown Denver. Comedy includes both local improv shows and stand-up acts, as well as comedy classes. It’s also a nightclub that features cabaret. The bar is open Tuesday through Saturday evenings. Happy hour specials are held nightly. Improv shows are unscripted and interactive, which means the comedian hasn’t prepared anything in advance and often takes suggestions from the crowd. You really never know what’s gonna happen at Voodoo! Most shows are one hour long. All ages are welcome until 10:30pm, after which it’s 21+.